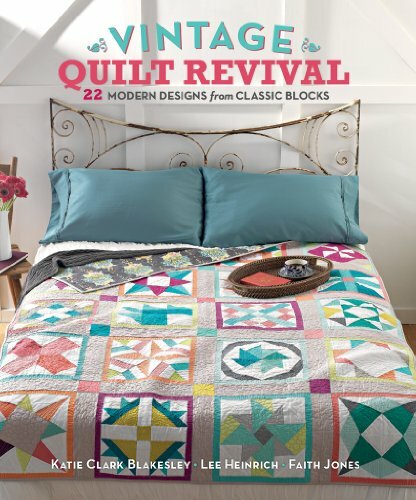 From White Fabric, Cut: 1 square 4-3/4" x 4-3/4"
Vintage Quilt Revival comes with a CD that contains the project paper piecing patterns and templates. In order to open these files, please ensure you have Adobe Acrobat Reader installed on your PC or Mac computer. Adobe Acrobat Reader is a free download and can be found on the Adobe website. Additional details can be found in the READ_ME.txt file of the CD. If you receive a file permissions error when trying to access the templates on the CD, or are unable to open the templates on the CD, it is most likely because you do not have a current version of Adobe Acrobat installed on your computer. When printing your templates, always make sure your printer settings are set to print at "Actual Size" or "100%". 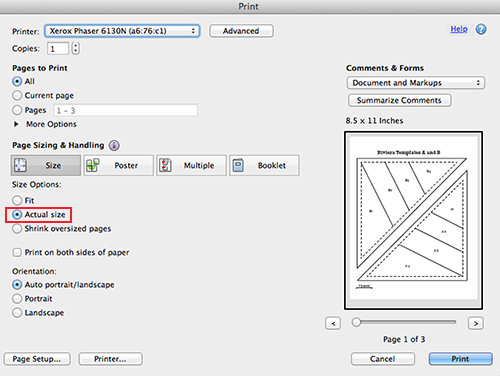 Do Not print "Fit to Page" or your template will be too small, resulting in smaller block sizes.